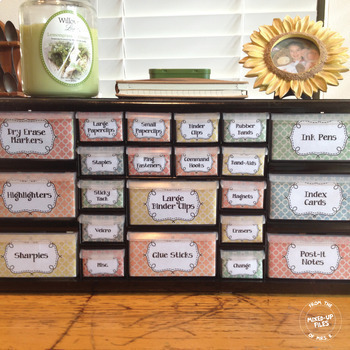 This pretty teacher toolbox organizer will keep your desk looking cute in muted pastel colors for a calm classroom environment. 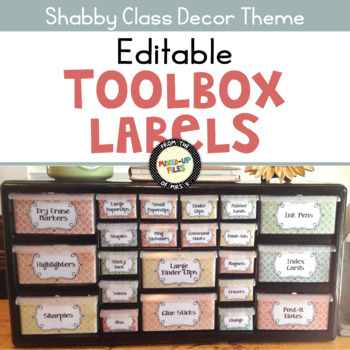 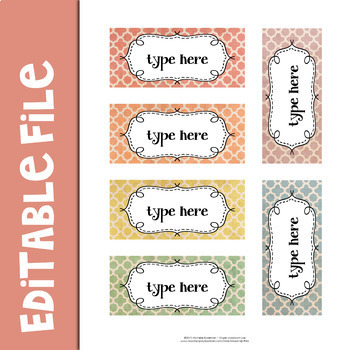 Customize your plastic storage drawers with these easy-to-use editable labels from the Shabby Class classroom decor theme. 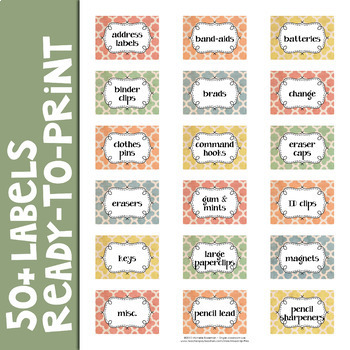 If you want to personalize your toolbox by adding your own items, use the editable teacher toolbox labels on pages 10-11 before printing.